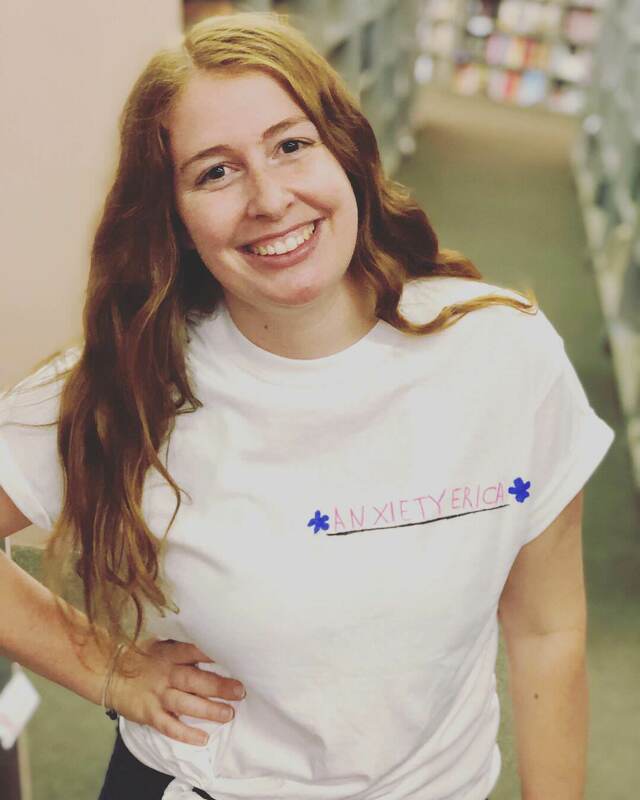 Anxiety Erica // 1K Giveaway! When I published my first post on this blog, I really didn’t think it would get much attention. I started this blog to heal myself through the power of words, and if others related, awesome. Watching this blog grow from four to five followers (who were technically family, friends and amazingly supportive coworkers) to the popularity it’s receiving now is more than rewarding. It’s scary, exciting, thrilling, and motivating. Some days I want to write for hours and hours, while others I feel nauseous at the thought of it. What I do know is that I truly love this community. I knew of it when I began, but I didn’t fully understand the love that surrounded it. Unconditional love, support, and safety. A safe space where I can share my heart and feelings without judgement. Therapy is my sanctuary, but this mental health community is where I thrive. It’s where I turn to on my worst days for support – you are my home. In the last few weeks, I’ve had some rough family issues and more than anything else, you all have felt more like family than my own. Thank you for listening, for encouraging, and for just being there. Lastly, comment on the post with one reason you decided to follow my blog or Instagram page! A truly talented artist and supporter in the mental health community, I adore Jessica from The Eudaimonic! I have both her pins and stickers and can honestly say, when I wear them, I feel empowered. Give her page a follow, and even buy her art – it’s a $1 off right now with the discount code SUMMERSASS. Let’s all be sassy and sensitive together! I came across this wonderful, insightful journal on my Instagram feed and boy am I glad I found it. Run by a boss babe, this mental health resource is filled with inspirational, positive writing exercises and prompts to help you stay on track with your thoughts. As an added bonus, there is a section for notes as well as a full planner at the back! Well, there you have it. Head over to my Instagram page and enter my 1K giveaway for your chance to get these mental health goodies! Hurry though, I will stop accepting comments and submissions on Friday, August 18th. Do you want to win these mental health goodies? Check out my Instagram for more details! I follow your blog and IG because it helps to know that we aren’t alone. That anxiety and depression can affect anyone. Those are two things I wouldn’t wish on my worst enemy. So thank you for normalizing these issues!